Building a busy and successful chiropractic practice requires the ability to wear a LOT of hats. One of the most important is how we get the word out about ourselves – how we advertise and how we market. 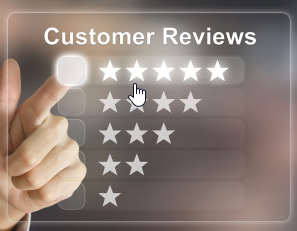 Within the first 10 years of the onset of the internet, online review sites have come on board in a big way. Most of us know of them at least to a certain extent. Well, let me tell you, it is a lot more than a few. I was shocked to find out the reality of just how impactful reviews can be. When I opened my latest practice a few years ago – after having bought or sold about 16 offices over the last 22 years – I decided to do something I had never done. 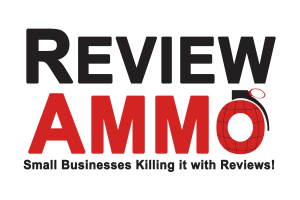 I decided to focus 100% of my marketing efforts (not dollars) on the promotion of getting a ton of reviews. It was definitely a test – but one that I gambled wholeheartedly on. Probably like you, I assumed I would get a few patients from the review sites here and there, but I figured once the word got out then word of mouth would take over and I could let the clinic somewhat ride the wave. Little did I realize the full implications of what focusing on reviews would do for my business. It turns out people are using these sites for everything! I attribute much of this trend to what I call Cumulative Consensus which is nothing more than a prospective customer who quickly scans a certain number of reviews on their review site of choice (typically about 10) in order to come up with an overall “feel” of the business. Since these reviews are from unbiased previous customers who presumably placed them on their own accord, they must be unbiased (and most honestly are). That provides a ton of social proof! SEO or search engine optimization is nothing more than having a web-presence that shows up high in the organic search engine searches. When someone goes to Google.com and enters in “Chiropractor in (your city),” where do you show up? If you are not 1, 2 or 3 on the organic (non-paid for ads) section then you are not getting business from the internet, period. How do you show up in positions 1-3 – well your site and your business has to do a whole lot of stuff that pleases the Google (and other search engines) algorithms to the extend that they find you relevant for those keywords and reward you by placing you high in the rankings. That, my friends, is how you get business from the internet. Now, can you pay an SEO firm hundreds if not thousands of dollars to create back links, perform all the necessary on-site SEO friendly actions, and the myriad of other thing that they espouse as valuable? Well yes, you can do that. Or you can do what I accidentally discovered. You can kill it on the review sites and, on your own for very little cost, generate THE BEST SEO juice on the planet! Here is why: For brick and mortar business, search engines value relevancy above all else. In the online (non-local business) space you are expected to do so much more back-linking and all that expensive time-consuming stuff, but the search engines know local businesses are not going to all be able to do that. So, what outside source are they providing an overwhelming amount of value to? Yep, review sites! Check it out for yourself. Go to Google.com, type in “Chiropractic in (your city)” and see what pops up on the first page. Not only will it be sites that have a lot of good reviews, but the review sites (like Yelp and Angie’s List) that are promoting your sites. It is a triple bang for your buck, but your only cost is in effort – not an ongoing monthly investment like you have with traditional SEO efforts. So yes, you will get patients from the review sites, that alone is worth the effort, but the side effect of all the SEO value you get that will propel you to the top of the search engine is equally, if not more valuable! Awesome huh?!? So, back to my original subject line. 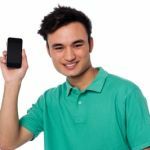 “Think Online Reviews Might Be Important?” When it comes to marketing I KNOW they are the most important new patient acquisition method in today’s marketplace!